We are pleased to announce that the European patent office decided to grant on 06.05.2015 a European patent n° 2729619 based on the European patent application EP13708716 directed to the cosinus slide joint and also decided to grant on 13.05.2015 a European patent n° 2027340 based on the European patent application EP06754306 directed to the Sinus slide jointing solution in general. 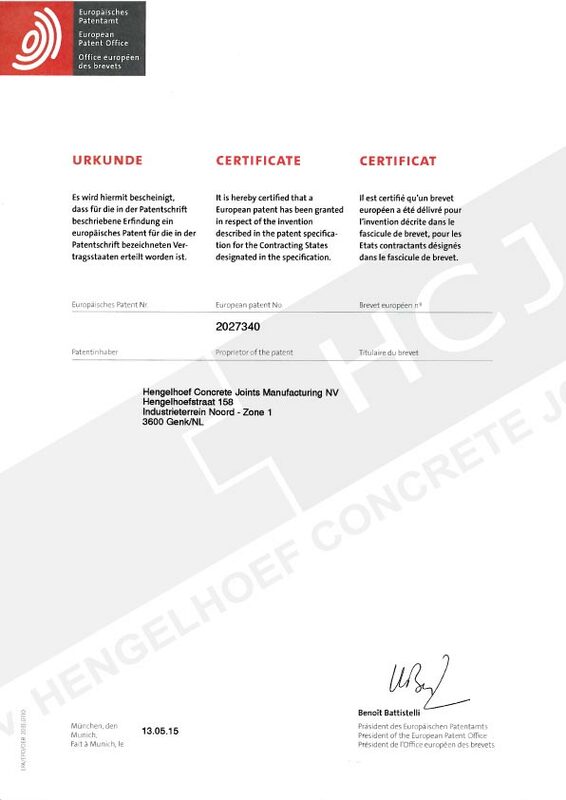 With this decisions the European patent office recognizes the innovative solutions of HCJ in expansion joints for industrial flooring. El perfil HC-GO es una junta de expansión desarrollada específicamente para aquellas zonas de suelo industrial que pueden estar más expuestas a capas de presión provocadas por las ruedas de las carretillas y vehículos. The range of the HC-Mini Omega joint is especially designed for apllication in industrial floors on elevated bearing slabs, stage floors, parkings on roofs and also in small industrial floors in buildings and private houses.